First Communion is coming up and, as with all special occasions, we know you want to combine the day’s meaning with style! 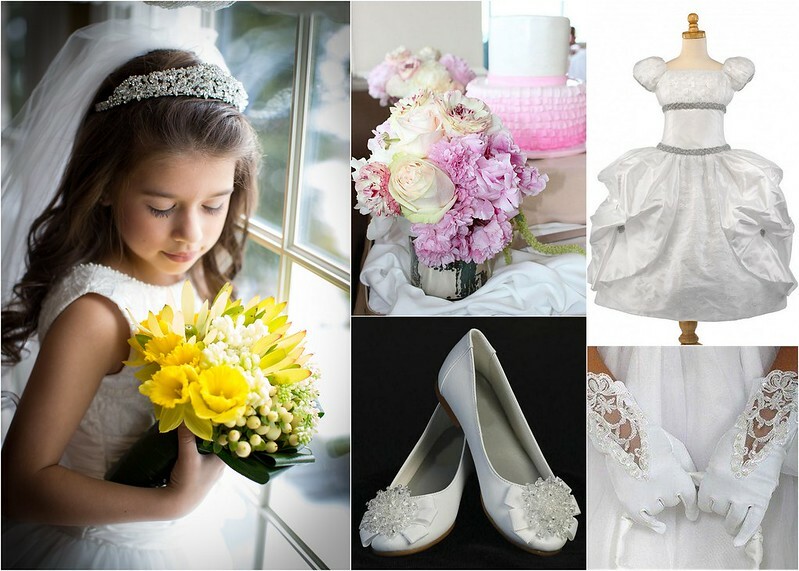 Capture your little one’s personality and honor the significance of the moment with a unique First Communion look and a sweet party which the whole family will enjoy. A ruffled dress, beribboned slippers, a darling pearl circlet and fluffy veil are perfect for little angels. After church, head home to a heavenly party complete with feathered wings and a buffet straight from cloud nine. 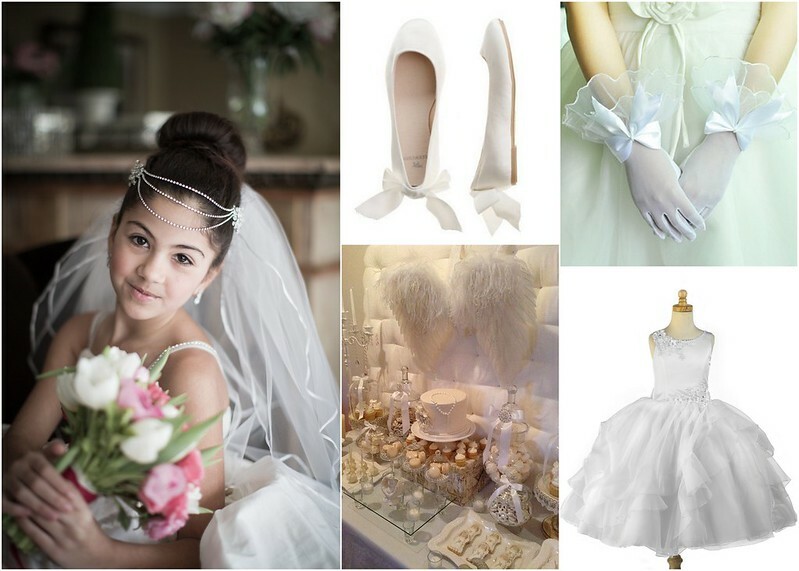 Every First Communion princessa needs a crown, classic veil, royal dress and ladylike gloves. Following the ceremony, celebrate with an adorable, pink peony-themed fete punctuated by a charming ruffled cake. Find your little one’s unique First Communion headpiece and veil by visiting our Brooklyn boutique! This entry was posted on Tuesday, May 12th, 2015 at 2:18 pm	and is filed under Blog, Inspiration. You can follow any responses to this entry through the RSS 2.0 feed. Both comments and pings are currently closed.